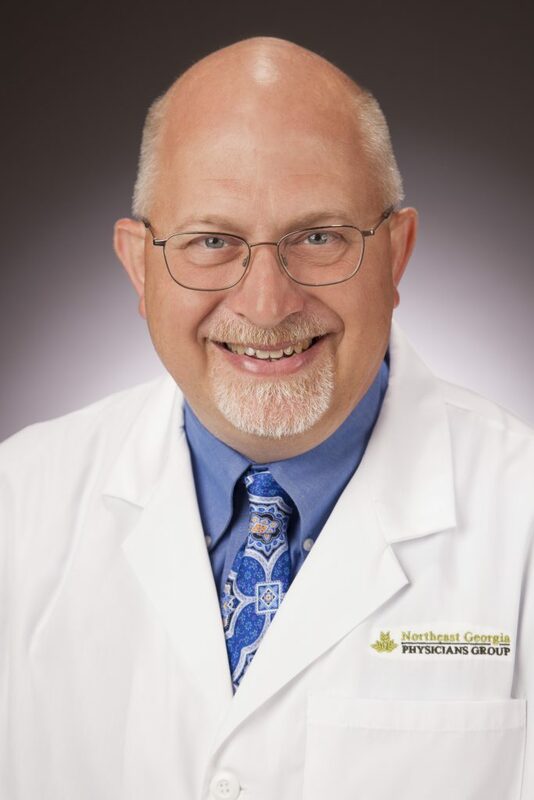 Thank you for your interest in the Internal Medicine Residency Program at Northeast Georgia Medical Center. We are a vibrant and dynamic Internal Medicine Residency program in the rolling hills of Northeast Georgia on Lake Lanier, located conveniently between the Atlanta suburbs and the scenic mountains where the Appalachian trail begins its northward journey. We have the best of all environments for the well-balanced physician. The goal of Northeast Georgia Medical Center Internal Medicine Residency Program is to graduate deeply compassionate, high quality, highly reliable, cost-conscious internists – who practice medicine with a deep sense that they impact life at its most sacred moments; who feel deeply interdependent with their communities; who practice responsible stewardship of today’s resources; and who are deeply committed to excellence and process improvement to ensure the safety of all. We truly hope that you will choose to join us in some capacity, such as a resident in our residency, a student on our rotations, as an employee in our program or a faculty in our practices. If you’re a patient who’s visiting our program, know that you are the reason we are here: to provide that deeply compassionate care that all patients deserve when they see a physician. We hope you will help us train the compassionate doctors who are striving to provide the most current care right here in the wonderful community of Northeast Georgia! We strive to improve the health of our communities in all that we do. I am honored to be the Program Director for the NGMC Internal Medicine Residency Program. I invite you to join us and experience the NGMC brand of doctoring. We hope you can see that we offer a unique program for the discerning physician striving for cutting-edge excellence which is like no other training in the country. We know that you have many options and limited time and money to see every program. We are a must-not-miss residency because even visitors take away pearls of best practices for their own programs.